A Type-III MSD may be used aboard any vessel regardless of size or geographic location. The system receives waste from one or more toilets and retains it for disposal at a dockside or marina pump-out facility, or directly overboard where legal to do so. 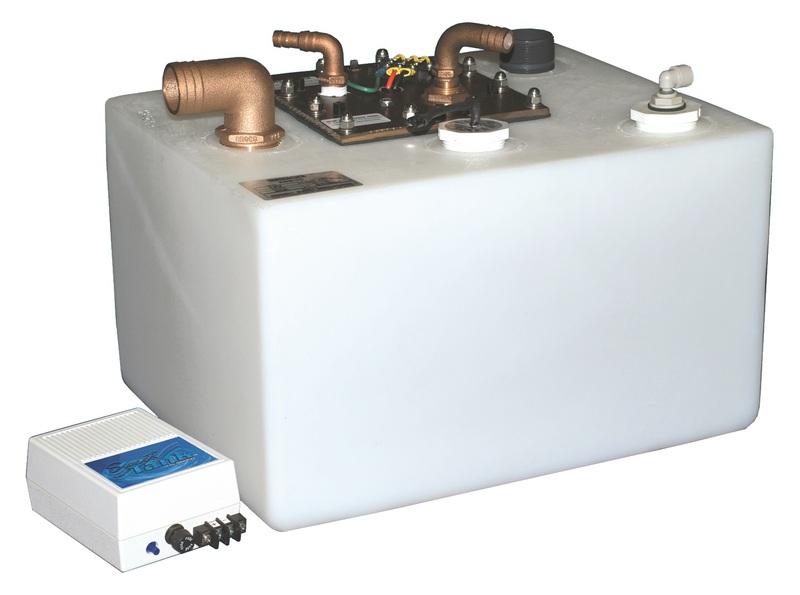 Available in many sizes and shapes, but stocked in four standard sizes, GROCO Type-III MSD systems come complete with a TLM series level monitor and a powerful (17 GPM) macerator/discharge pump located inside the tank. ZDS Models include patented SWEETTANK® which keeps the holding tank odor-free at all times, without the use of chemicals or filters. SWEETTANK® can be added to older ZDS models. All tanks include an oversized vent to aid with high capacity dockside pumpout. It is illegal to discharge untreated waste directly overboard in most places. Consult local regulations before doing so. Discharge restrictions change with geographic location.